My advent calendar choice comes from my love of paper and collecting many different types of Christmas themed patterned paper. 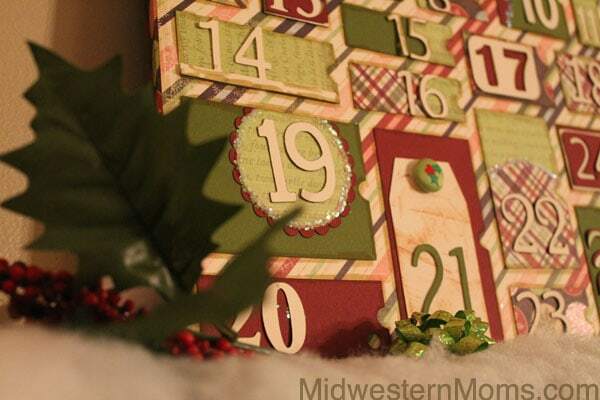 Take a peek at my finished calendar and enjoy my tutorial below. Step 1: Using the Sure Cuts a Lot program, I imported the svg that I downloaded from SVG Cuts. This process is easy – I open my program, import the file and arrange it so that I can cut them out on my machine. Step 2: Insert paper into the machine and begin cutting your shapes out. All of the cuts come with instructions and color suggestions for cutting. I love how I was able to cut all of the same color on one sheet with no hassle. Step 3: Assemble the shapes as indicated in the instructions with glue and/or adhesive squares. The doors are super easy to assemble. I have included a photo indicating how to assemble below. After assembled, attach all of the doors to the face of the project. Step 4: Next, take your square shapes and fold them together, gluing the ends. They are already perforated, making it very easy for you to put them together. Step 5: Glue the squares to the backside of the project as show below. 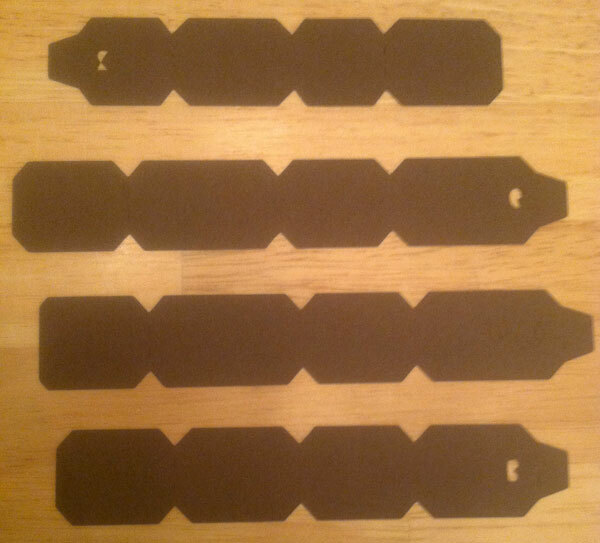 Each cutout is numbered and goes with the coordinating door. 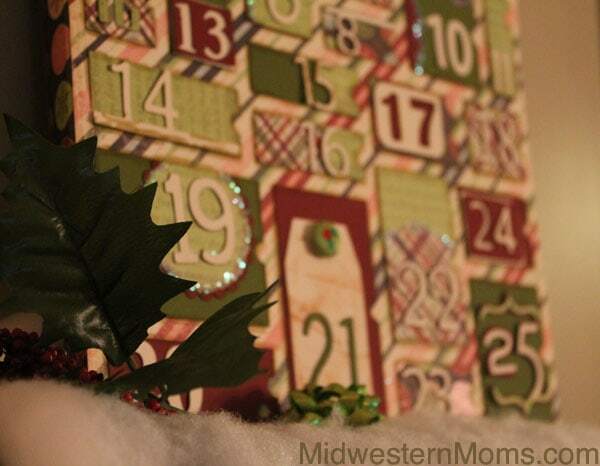 This will create a box for you to insert goodies into from the front side of the calendar. 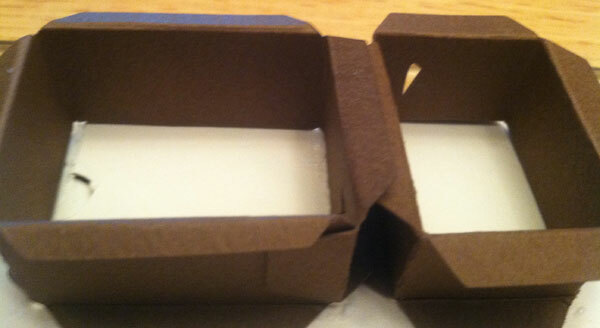 Step 6: Glue on the sides of the box and the back. This calendar turns out to be about 3/4 of an inch thick in width. I used a glue with a very thin point for this project. It is actually a glue made for glitter projects. 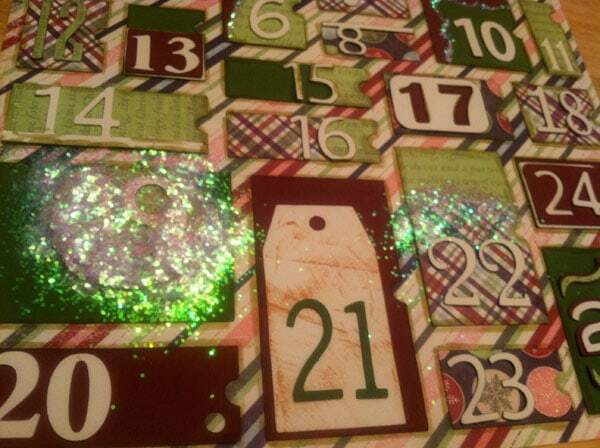 Step 7: Use glitter and other embellishments to dress up the front of the calendar. 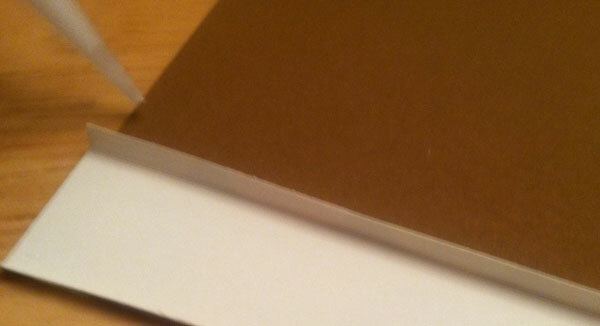 I also used a brown pen to distress the edges of the project giving it an aged look in areas. The photo below shows my glitter process. I use the glue with the thin applicator and place a line along the areas where I wanted glitter, then poured the glitter on and shook the excess off. Put the excess back into the container. Now that your project is complete, you can diaplay it on a shelf to countdown to Christmas! A closeup of the front. Showing inside one of the boxes that you can put little trinkets in. 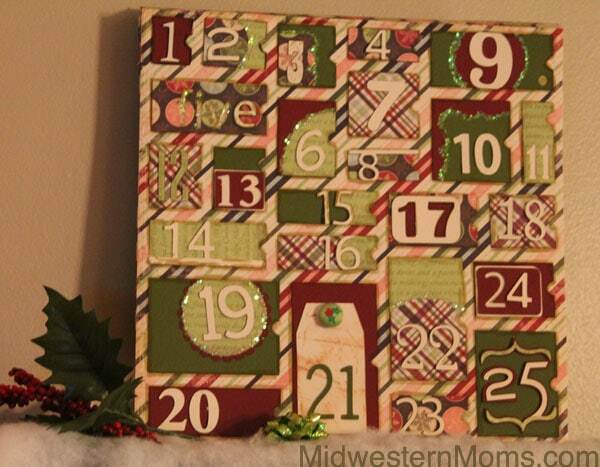 Now I would like to invite you to visit my friend’s Advent Calendar projects! wow, this is gorgeous! thanks for sharing the details! Just one more reason why I need a Cricut! This looks so pretty, you made it seem pretty easy too! LOVE this project; it’s simply gorgeous. 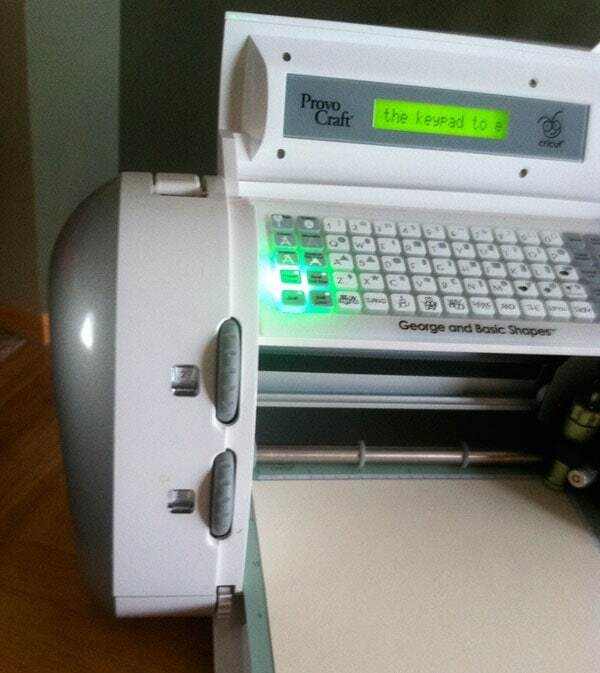 Does the Sure Cuts a Lot program work with any Cricut machine? I’ve never heard of it. I have used it on the machine that cuts 6×12 and 12×12 and it works fine. I found that you have to do a software update to your machine before you download it, but I have the softwaret on my mac even and it works great! I suggest visiting their website to learn more and see if it will work with your Cricut. When in doubt, contact them first before you make your purchase. Thanks for stopping by!